I must emphasise that anything that I write here is very much detailing my own personal preferences. I am making no recommendations as to what your decisions might be, and any comments I make should be read with that in mind. 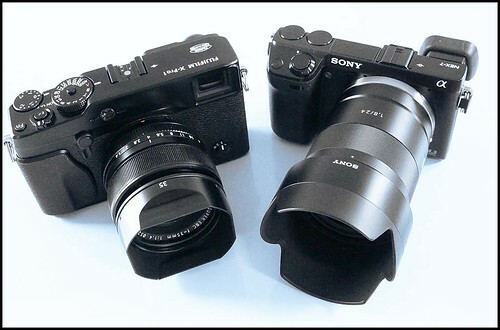 You'll probably not be surprised from what I've written earlier that if I had to choose only one of these two cameras, then I would choose the NEX-7. 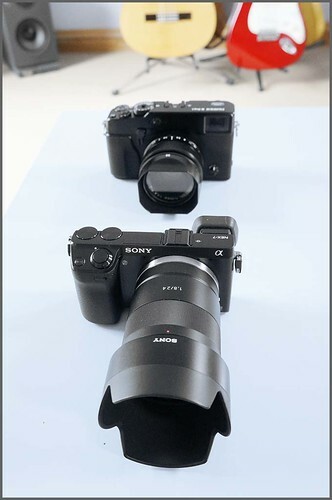 Its a much better handling and performing camera with 50% more pixels, its cheaper, it has more lenses available and its definitely more "quirk-free" than the X-Pro 1. In terms of image quality the extra size has to be balanced out by the superior definition of the Fuji, its vastly superior high ISO performance and its seriously good jpgs. As someone who shoots predominately at low ISO's, the Sony makes more sense for me. From my experiences with it so far its a reliable camera, it has AF that works ALL the time, excellent metering and in terms of ease of use and responsiveness, there is little I can fault it on. 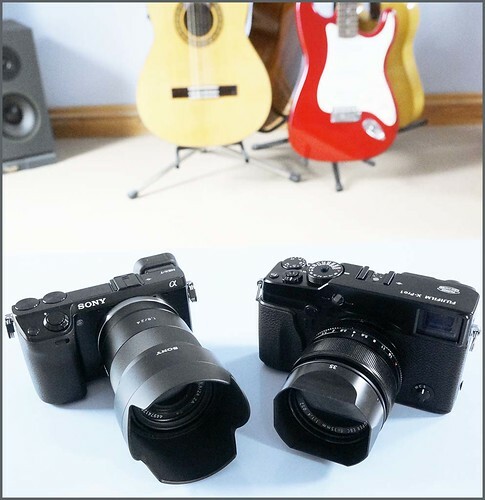 So where does the Fuji fit into what I do? To me its somewhat of a "luxury" camera. Its great strength and the reason I would keep it and use it is the image quality. Its a quality that is quite special and somewhat unique. And though I'm keen to show that the Sony has lots of advantages for me in picture taking situations, there is no doubt that the Fuji with its ready to go jpgs. certainly has an advantage for my post-processing timetable. In commercial terms there is no particular advantage from using the Fuji. The marginally improved quality of the files is somewhat irrelevant in the picture library business. People buy my images on what they are like as small thumbnails, and there would be no difference in terms of the print and web uses that my images get used for. To a large extent its for me to use, which with manual focus lenses I enjoy very much. Less so with the noisy clunky AF lens that I have. 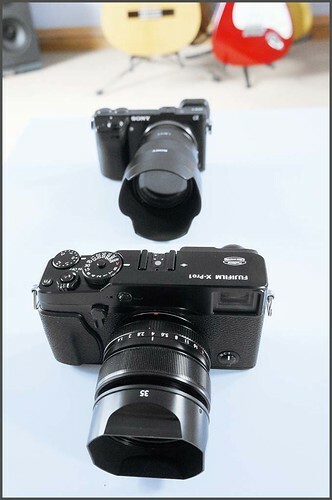 In use and feel it is very similar to my Leica M9. The focusing is obviously different but using it, I've been very much reminded of what the M9 was like. I always enjoyed that experience, but at the present time I have no wish to buy a Leica again. That may change in the future, but at the moment I'm not planning it. There is also the possibility that the Fuji may lead me into some different ways of creating pictures. With its low light abilities, certainly way beyond what the M9 is capable of, I could think about some different subject matter. Using it as a manual focus camera, it does become a pretty quiet, unobtrusive camera and I would like to attempt some of those "Cartier-Bresson moments" from time to time. So its a camera that by the very nature of its "eccentricities" could possibly, and I do empasise that these are only possibilities, enlarge the scope of what I attempt photographically. It is to seen whether I actually give this a go and certainly there is most definitely a question mark as to how successful I would be at it, but I'm certainly wanting to try to move out of my "comfort zone." I'll write more about this when I get the outfit sorted. My m-mount adapter is taking a long time to arrive, so I can't get into trials and tests with my other Voigtlander lenses until that arrives. I guess the main problem with having a go at being a "street photographer" or something like that is that I'll have to go and find some streets!! There aren't too many of them around here, country lanes yes, but the mean streets of the urban jungle are a way away, and its some time since I walked around them armed with a camera and an intent to record them. It may or may not be a success, but it might be interesting.